That’s how I’m feeling right now about Avenue, a new restaurant right here in my town of Medfield, Massachusetts. Avenue will have an open kitchen featuring an ever-evolving seasonal menu with local seafood, “a raw bar, signature wood roasted chicken, grilled steaks and burgers, classic wood-fired flatbreads, and delicious salads and simple pastas that will evoke California’s farm to table culture.” It’s due to open in mid-May and will be located in a historic building built in 1880, right on Main St.
Twelve years ago when my husband, Jon, then 2-year-old son, Jack, and still cooking on low in the oven son, Will, moved to Medfield there wasn’t much going on in terms of eats. Medfield was not the place to go for culinary adventures. Or culinary anything. The happening hot spot at the time was Friendly’s. Not gonna lie, we were frequent fliers there – hello Fishamajig and Fribble! – but it wasn’t ideal. Especially since we moved here from Boston and were so used to all the variety. Fortunately, that’s changed over the years and we’ve had some restaurants open that we like to go to. There are family-friendly restaurants and a nice date-night place Jon and I enjoy for rosé and charcuterie (file under: love it, can barely pronounce it). Still, we find ourselves going predominantly out of town when we want flavorful, creative food in a great atmosphere. For date nights especially, Jon & I will go into Boston. But the bummer is we still have to drive about 45 minutes to and from, which also means severely limiting the amount of drinking we can do, if at all. And that’s a real bummer. When I read an article circulating on my Facebook timeline about fellow Medfield neighbors, Josh and Jessica Foley, opening Avenue I was starting to feel less bummed out. Then when I read that Josh was the creative genius of Harvest in Cambridge I was down right ecstatic. Those are a few of the things I said after reading the article. A “Hell, yeah!” might have been thrown in there too. Josh showing me the Norcal Split Argentinian Wood Grill with Roti bar. Josh and Jessica graciously let Jon and I have a sneak peak of Avenue coming together and gave us a great tour last Friday. 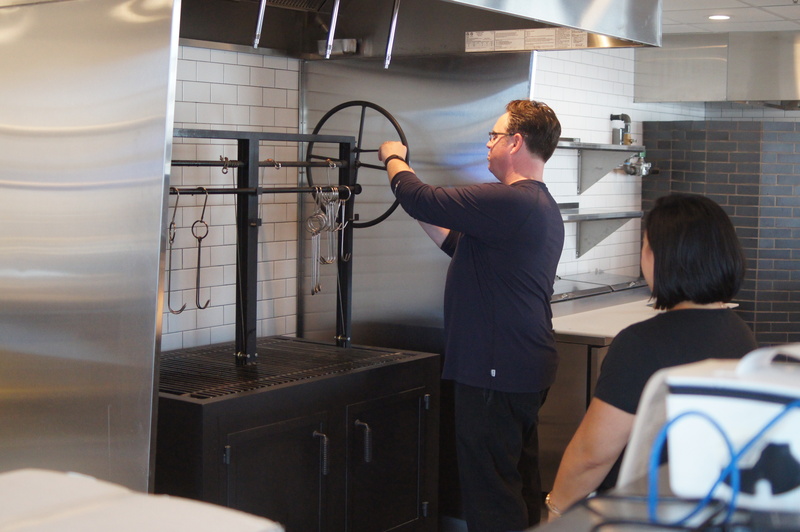 We saw everything – from the C02 and nitrogen tanks leading up to the taps that will make a variety of craft beers and Avenue’s own homemade root beer – to the amazing Norcal Split Argentinian Wood Grill with Roti bar. Josh showed us how it worked and I was so fascinated and probably had my mouth open in amazement. Just thinking of what will come from the grill – from tender, juicy, mouthwatering steaks and burgers to wood grilled chicken hanging from the grill’s hooks…hold on, I need a moment. I’m getting a little light headed from excitement. And that’s just the grill. I haven’t even gotten to the wood-fired oven that will produce a variety of heavenly flatbread, among other things. 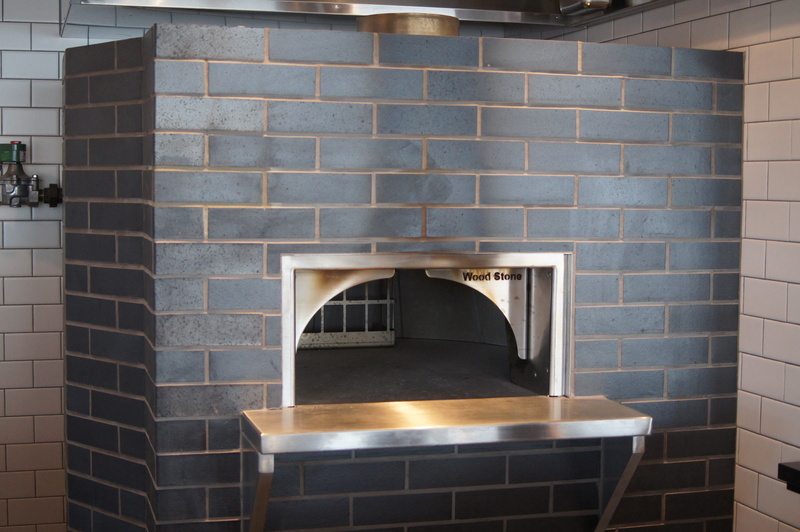 And speaking of heaven – Avenue will be baking its own bread in the wood-fired oven. When Josh told us this I had to compose myself because inside I was like a 12-year-old girl meeting Harry Styles of One Direction (don’t fake like you didn’t know who that is). My love for bread knows no bounds. We arrived at Avenue while the furniture was being delivered. A lot of the tables and chairs and booths were already set up and the layout looked so comfortable and inviting. Ten gorgeous picture windows look directly out to the town center, providing lots of natural light and views. The bar area is big and beautiful and Jon and I were lucky to get a sneak peak of the menu and wine list. Let’s just say anyone with great taste and a love of food, drink, and a down to earth yet sophisticated atmosphere will be extremely satisfied. I worked with Josh at Sysco. I’ll definitely check it out. Maybe we can have a mini BLA reunion. I’m enjoying the blog. Great write up Joyce. 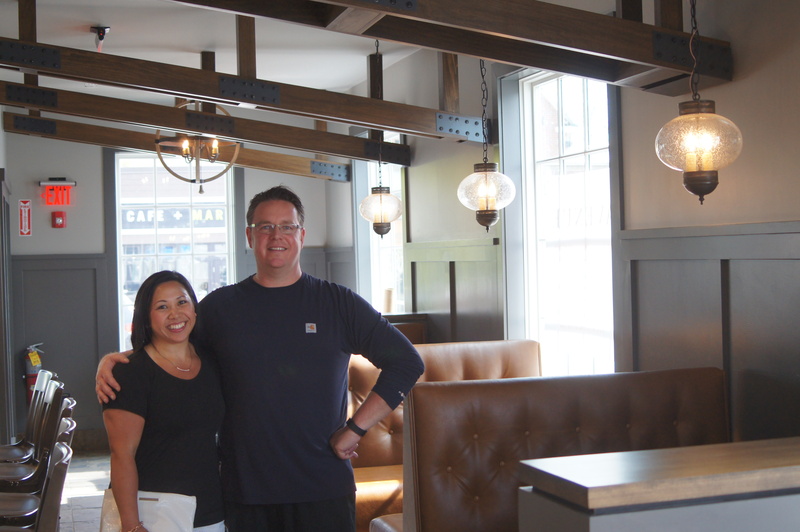 Looking forward to dining at Avenue Medfield!